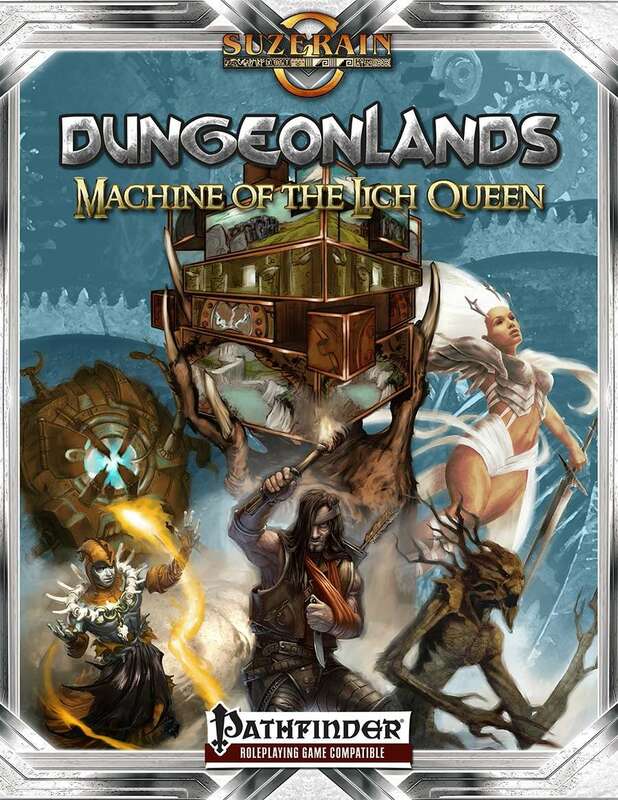 Savage Mojo‘s been supporting both Savage Worlds and Pathfinder with their mega-dungeon love-letter series, and the latest PF iteration – Machine of the Lich Queen – is now available. “Enjoy an old school killer dungeon in a fantasy setting that draws heroes from every corner of time & space. The Lich Queen has trapped your heroes in her ever-shifting labyrinth. They’ve survived the Tome of the Lich Queen, but now they enter the machine level – the inner workings of the dungeon. Left or right, fight or hide, rescue an angel or ally with a demon…make your choices carefully.